After taking home the U.S. Environmental Protection Agency (EPA) Patrick H. Hurd Sustainability Award from the annual Intel International Science and Engineering Fair (IISEF) in May, a high school junior from Oregon will present his research at next year’s EPA National Sustainable Design Expo in Washington, D.C.
Adam Nayak of Cleveland High School (Portland, Ore.) won the award for his project, “Modeling the effects of land use change on flooding in Pacific Northwest streams to promote green practices.” The project suggests that if the Portland metro area continues to develop impervious surfaces at the rate it has in recent years, severe flooding from four urban stream basins will become much more likely. It recommends green infrastructure construction as a way to help mitigate these risks. Nayak’s interest in water was established at a young age when he noticed that fish gradually stopped returning to the stream in his neighborhood. He was five years old. Now, more than a decade later, Nayak’s research could inform future land-land use policies for his entire city. 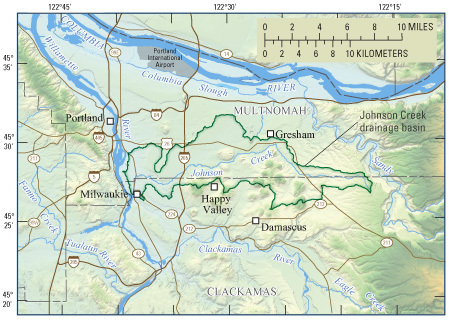 To come up with predictions about flood severity and frequency in Portland, Nayak considered historical flood and urban land use data for the region as well as landscape topography, and used geographical information systems software and streamflow modeling tools developed by the U.S. Geological Survey. He concluded that Portland could implement inexpensive green spaces, artificial wetlands, and landscape management measures to minimize runoff, which in turn could discourage stream flooding. Nayak was selected to receive the award from a pool of 1778 student scientists hailing from 78 countries, regions, and territories. To be able to participate as a finalist in the IISEF, billed as the world’s largest pre-college science competition, Nayak first had to show his work at the local and state competition levels. 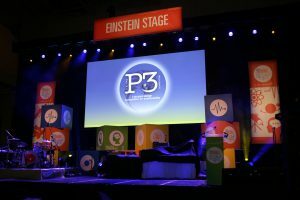 For next year’s National Sustainable Design Expo, Nayak will participate in EPA’s annual P3 – People, Prosperity, and the Planet – Program. He will receive $15,000 to bring his research into practice on a small scale, before competing against college students at the Expo in April for a chance to win an additional $75,000 grant. Click here to access an online slideshow detailing Adam Nayak’s award-winning research.